Topics: Driving Lessons, Motoring Tuition, and Driving Schools Enfield. ns1.daily.co.uk, and ns2.daily.co.uk are its DNS Nameservers. Daily Internet Ltd Infrastructure (England, Derby) is the location of the Apache/2 server. 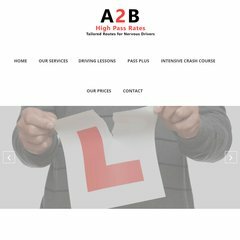 A2bdrivingschooluk.co.uk's server IP number is 195.26.90.15.